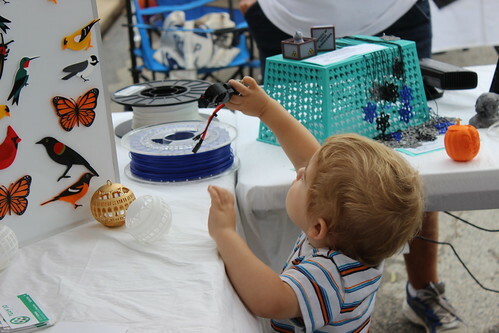 Well, it was a whirlwind, but we had a phenomenal time at the Fall Occoquan Arts and Craft Show! Everything clicked into place so we could relax and enjoy the show. We had steady enough sales that we didn’t have to worry about not selling anything…. but the sales paced in a way that we didn’t have to worry about running out of everything on Saturday. When I step back, it is crazy we accomplished in just eight weeks. Eight weeks ago, I may have had some designs up on Shapeways, but for all practical purposes I was just a girl with a 3D Printer. I had NO inventory. NO tent. NO tables. Nothing! So in eight weeks, we (I say we, because from my husband to my mother to my brother to my sister-in-law to a battery of friends– it was a big group effort) pulled off a little business. 19 new designs, over 400 prints, a business license, tax IDs, a logo and signage, infrastructure for display and credit cards reading. Whew! No wonder I’m so tired. This All Did Not Exist Eight Weeks Ago! The most surprising seller was the Glowing Cthulhu Coaster. 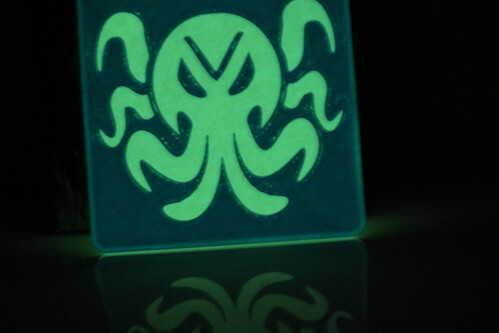 The Glowing Cthulhu Coaster was actually our first sale, a mere minute after the bells rung to start the show. We ended up selling out of Cthulhu Coasters the very first day. The second morning, we printed more…which was good because in the afternoon we sold another one! The other great surprise was my Mamie Davis Gazebo Christmas Ornament. I didn’t blog about it yet. That was my very last design for the show- done in a marathon 16 hour design session and then printing the very last week before the show. After a handful of gazebos, I was thinking of switching back to other products. 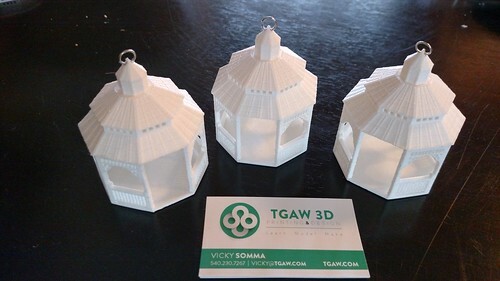 My husband convinced me to print more gazebos and I’m glad I did. By the end of the show, they were all spoken for! 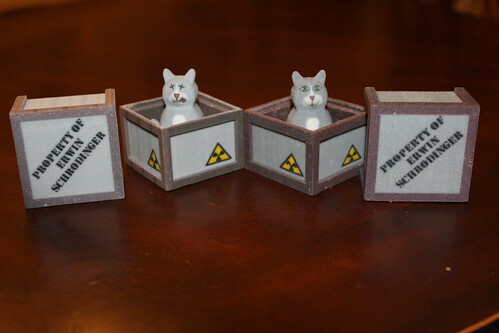 I was also pleased to sell a Schrodinger’s Cat and Box! He is definitely a niche product. 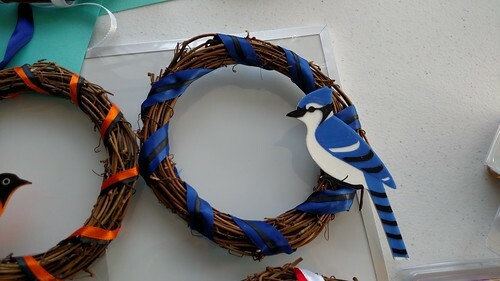 On the other hand, the bird magnets and wreaths did not do as well as I had anticipated. Possible variables- I had that in the back of the booth. I also suspect I mucked up the pricing and made them too high (More on that below). I left the show with a half dozen custom design requests to follow-up on. In Episode 89 of the WTFFF Podcast, Tom and Tracy Hazzard said for them, if they left a tradeshow with just one lead, the show was worth it. I left with multiple leads plus SALES. So yeah, totally worth it. We had a best case scenario. 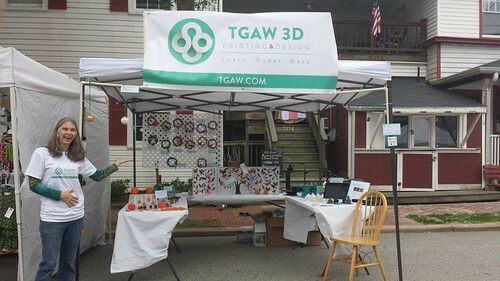 Even if we missed a sale, we still got our egos stroked with compliments to the designs and then the best part- we got to introduce 3D printing to the masses! Visitor after visitor came in and told us, “This is the first time I’ve laid eyes on a 3D Printer. I’ve read about it, but I’ve never seen one.” They would call others over to mob around the printer. That was very satisfying. One lady admired all my birds and said, “I heard about 3D Printing, but I had no idea you could use it to make beautiful art work.” Beautiful art work! That’s the term she used! And I got to do something I really do revel in– talking about 3D Printing and showing people how it is within their grasp right now. They can start designing and printing right now! 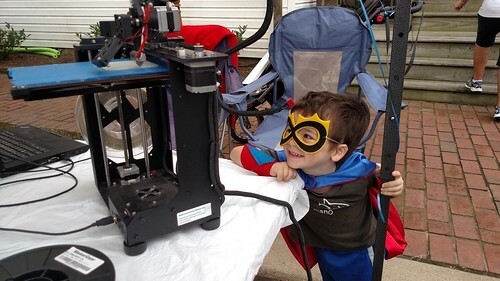 Okay… so yeah, maybe it is easy to wow the layman with 3D Printing. But what about people who have 3D printers of their own? Sunday, a local man with a 3D Printer stopped by my booth. We talked about nozzles and NinjaFlex and slicing. 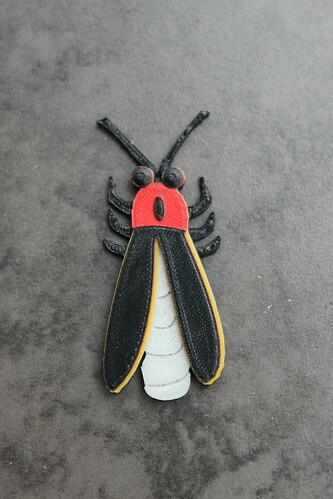 All of a sudden his wife interrupted, pointing to one of my glowing fireflies and asking how I did the different colors. “That’s painted, baby.” the man quickly said. And I got to correct him and explain how I use Simplify3D to do the multiple processes and start the different colors that their designated heights. Out of all the visitors that past weekend, I think it was only he who could really fully appreciate the technique. When learning 3D Printing, you do a lot of experimentation. Ooh your overhangs are messy, let’s try a print with lower temperatures. Still not perfect? Let’s try a print with slower speeds. You tweak and make adjustments. I do believe it’s going to be the same kind of thing with sales. 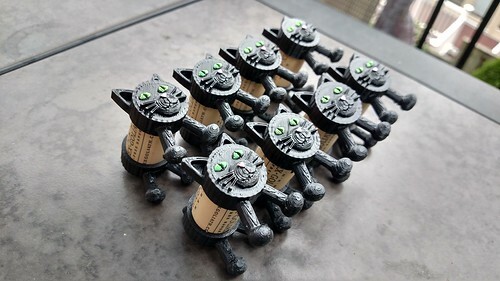 Right now, I believe I priced the Cork Puppies and Cork Kitties too high. I was pricing it, thinking the end users were adults (using them as décor, place set holders, and entrée labels). It was very clear at the show, I should have been pricing it for KIDS. The end users are KIDS! They love them. I also believe I priced the birds too high. Next up– a little bit of rest, getting my remaining inventory up on Etsy, doing these custom orders… and then prepping for more shows!